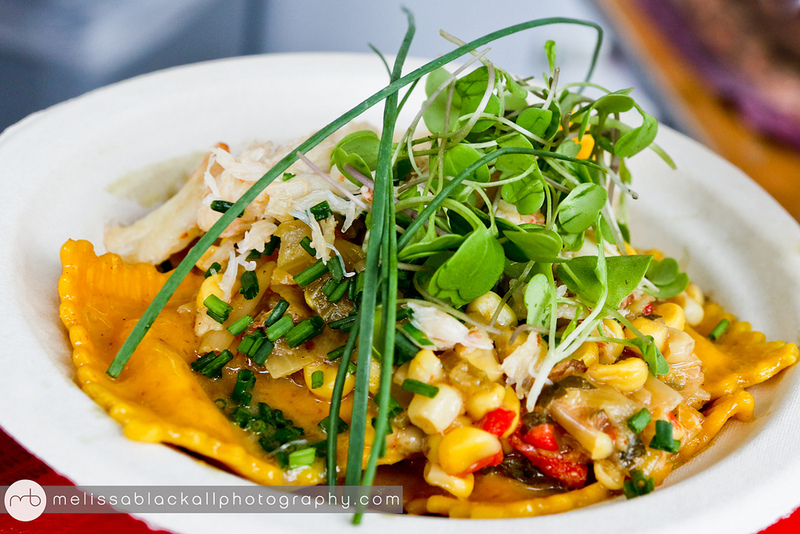 One of the delicious dishes available at last year’s Boston Local Food Festival. The principles behind Food Day are words that I try to eat and live by: promote safer, healthier diets; support sustainable and organic farms; reduce hunger; reform factory farms to protect the environment and farm animals; support fair working conditions for food and farm workers. This September, Massachusetts is blessed to have two major food festivals that help people learn about and celebrate healthy local food. Although neither the Boston Local Food Festival nor Let’s Talk About Food was specifically created around Food Day, they’re both great places to build a community around Food Day issues. 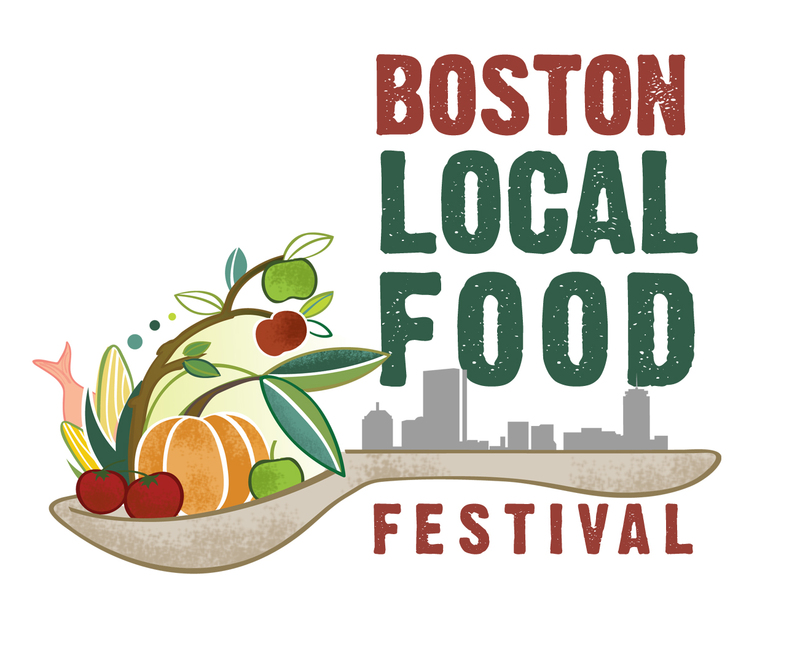 The Boston Local Food Festival (BLFF), now celebrating its 5th year, is a free outdoor event that will take place on Sunday, September 14 on Boston’s Rose Kennedy Greenway (near the Aquarium MBTA stop) from 11am-5pm. BLFF celebrates “Healthy, Local Food For All” by showcasing local farms, restaurants, food trucks, fishers, specialty food producers, and food and fitness-related organizations from around New England. The festival is a “zero-waste” event that aims to compost or recycle 100 percent of the waste generated at the festival. The Boston Local Food Festival is produced by the Sustainable Business Network of Massachusetts (SBN) and is built upon the principles of creating a local, green and fair economy. (Disclosure: I’m an SBN board member.) Earlier this year, SBN was one of the organizations that successfully campaigned to increase the minimum wage in Massachusetts. This year’s festival will serve as a launching pad for “A New England Food Vision,” a groundbreaking report from Food Solutions New England (FSNE) that challenges Massachusetts and the New England region to ensure that 50 percent of food consumed is locally produced by 2060. There’s always tons to do at the fest, such as choosing which local restaurants to grab a bite from (servings are all priced at $6 or less), watching chef & DIY demos, and enjoying live music. 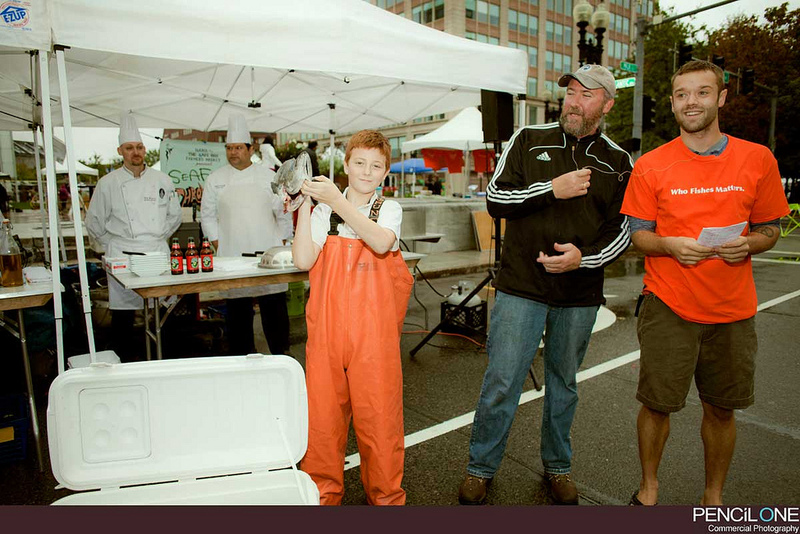 Since I’m a big fan of TV cooking competitions, one of my favorite activities is the “Seafood Throwdown,” sponsored by Northwest Atlantic Marine Alliance (NAMA). The competing chefs show up with three of their favorite ingredients, but they don’t know which seafood they’ll have to cook with until they arrive. Each chef gets $25 and 15 minutes to shop the Boston Local Food Festival’s vendors for ingredients, then they get one hour to cook. 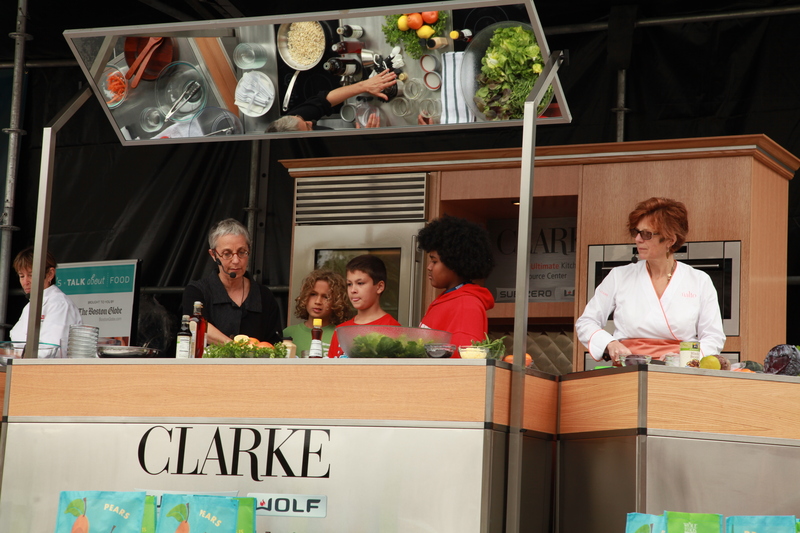 This year, the chefs from Community Servings and Restaurant Opportunity Center of Boston will try to wow the judges with their skill and creativity. As I know from watching the shows, it’s harder than it looks! This year’s festival will feature an enhanced “Family Fun Zone,” where Nourish Boston will teach you how to grow your own plants and the Urban Hydr-“O” Farmers will show you how to build your own hydroponic system. You can also explore a tidal pool exhibit from New England Aquarium. And there’ll be tennis workshops and yoga classes, too. Check out the BLFF festival website for more info. The Let’s Talk about Food (LTAF) Festival on Saturday, September 27, from 11am-4pm in Boston’s Copley Square is a free event featuring a wide range of activities, from food vendors, hands-on cooking demonstrations, and edible gardens to “Kids Can Cook,” “Ask-a-Chef,” and “Ask-A-Nutritionist” tents. Project Bread is running a “School Food Fair,” and the films Cafeteria Man and Fed Up will be shown. 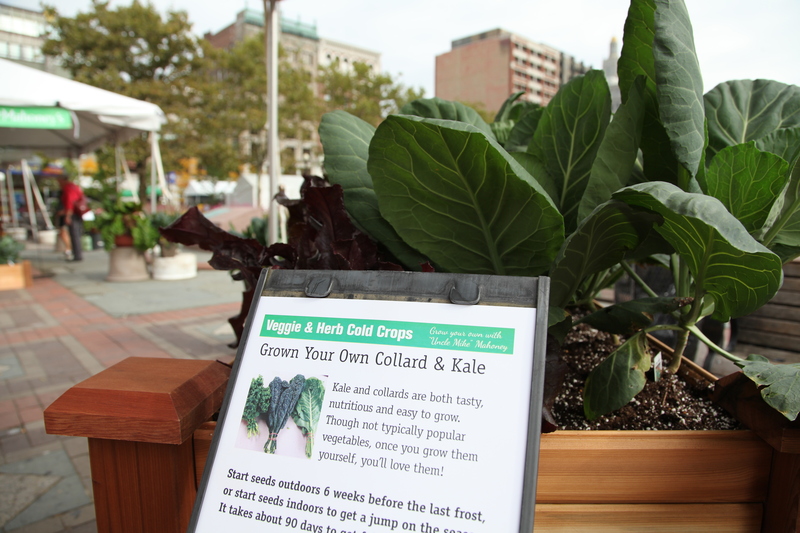 The festival is organized by Let’s Talk about Food–a national organization founded in Boston in 2010 that is aimed at increasing the level of public literacy about all aspects of our food system. LTAF holds events designed to get people to talk about everything from allergies to agriculture, school lunch to food science. In addition, LTAF has taken a leadership role in trying to improve the quality of the food served in schools. In my opinion, bringing Food Day principles into the public schools is one of the fastest and most egalitarian ways to ensure that every child has access to healthy local food, so we need more of these initiatives. Here’s information on the LTAF festival schedule. Can’t decide which festival to go to? How about both?